Do you have an active outbound marketing content calendar, but struggling to see results? A lack of trust in your brand among your customer base might be the cause of low open and click thru rates, along with other signs of poor engagement. In fact, authenticity is becoming even more important for consumers in the decision-making process. According to a study by Bonfire Marketing, 63% of customers will choose a brand they interpret as being authentic when making a purchase. Therefore, brands have to put an effort, now more than ever, into establishing credibility and developing a strong relationship with their consumers. That is where your outbound marketing strategy can serve as one of your main tools to tell your story. Your emails, webinars, podcasts and events can all be used to demonstrate that you are sincere about about the value of your product and service, and your intention to improve the lives of your consumers. If used strategically, your outbound content can lead to better engagement, improved conversion, and positively impact on your marketing ROI. So are you ready to build trust with your consumer, improve your outbound content engagement and gets results? 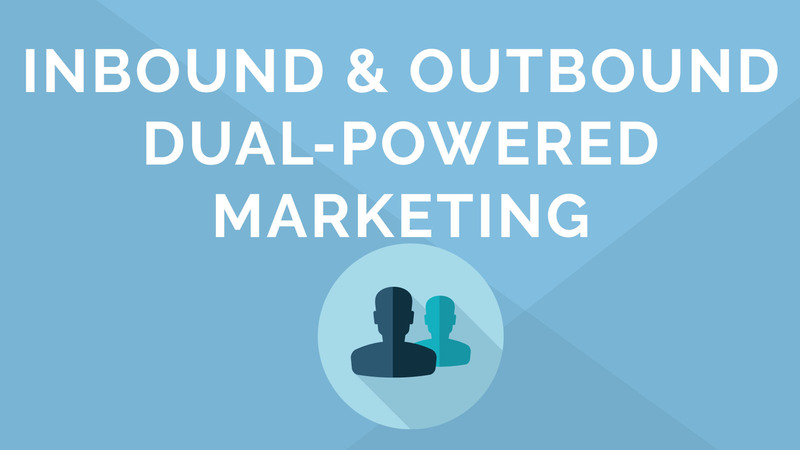 These tips and strategies will help you take your outbound marketing efforts to the next level. Don’t ever underestimate the value of the opinions and results of your current customers. The best way you can show your leads and prospects what you can do for them is showing them how others have benefited from adopting your products or services. One way you can do this is by including examples of customer success stories. Try featuring a video review from a successful customer or include a graphic with a quote highlighting their success in your next email. Whenever possible, include results and statistics to demonstrate your value and potential for impact. You can also invite some of these customer ambassadors to participate in a webinar and give their perspective on how your product or service has been valuable to them. Provide time for your prospects to ask them questions so they are able to learn what makes you unique from others like them. Chances are your customers are interacting with you through various channels, both inbound and outbound. Therefore, it is important that as they do, they continue to see the same messaging, branding and story throughout. This will show your customers you are being honest about who you are and what you have to offer them. Practicing brand consistency through all your channels will also help you stand apart from the competition and increase your chances of having customers remember what you’re all about. Did you know 94% of businesses believe personalization is key to their success? That’s no surprise. Personalizing the customer journey, in particular your outbound content, provides an opportunity for you to show your customers you know who they are and have their best interest in mind. Personalization can be as simple as including subject lines and content that appeal to your customer’s particular interests. And making those simple tweaks to personalize your outbound content can lead to better results and conversion rates. In fact, studies show that personalized subject lines have a 26% more likelihood to be opened by recipients. In addition, 65% of consumers say they are likely to switch to a competitor if they provide more personalized communications. Don’t know where to start personalizing your outbound content? Try using forms and gated content in your inbound marketing to gather information on your prospects. Use these insights to segment your customers into lists based on their interests and where they are in the sales funnel, so that they receive curated content that matches their needs. Speaking of personalization, another way to take your marketing efforts up a notch is by establishing an automated lead nurturing program. A single email is just not going to cut it when it comes to demonstrating to customers that your business, product or service has what it takes to solve the problem they face. An important part of gaining your prospective customers’ trust is taking the time to cultivate a relationship with them and provide information they need to make a decision. Want proof that it works? Research shows more than 75% of email revenue can be attributed to triggered email campaigns. So showing your customers you care and will be there to answer any questions they have as they navigate the decision-making process will pay off in the long run. If you want to establish credibility with your consumers, a good place to start is by showing them who you are beyond just a business that is trying to sell them something. In today’s world, many consumers want to know that the companies they purchase from or do business with can positively impact other aspects of their lives. For instance, 66% of millenials are more likely to interact with a brand involved in corporate social responsibility efforts. Your outbound marketing efforts can help you show customers what you bring to the table other than just a product or service. For example webinars and events provide an opportunity for you to interact with your customer base at a deeper level, receive feedback from them and answer any of their questions. Or you can also try sending out a quarterly or yearly email highlighting some of the things your company has done to help your community, or even positively impact the lives of your own employees.